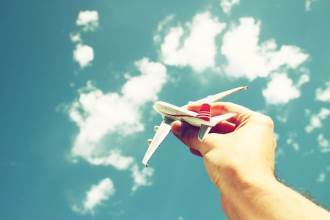 Looking to buy Southern Cross Travel Insurance? Our guide covers its stand out points, pros, cons and limitations. Policies cost at least $400+ for a couple for 4 weeks in Europe; our pricing review compares Southern Cross Travel Insurance to other popular products offered by AMI, AA and 1Cover. This means that if you lose a $7,000 watch or $6,000 handbag, the most you will be able to claim is the limit of the policy ($1500), unless you insure the items separately and pay for additional cover. In the table below, we outline the benefits and limits of the Southern Cross policy, and compare it to those offered by 1Cover, AA and AMI. You can also download it as a PDF here (TBC). ​Cancellation before or during travel - the death of a policyholder's mother, for example, would not be covered, because there is no cover if the event was caused by a pre-existing medical condition suffered by an immediate family member, or any complications directly attributable to those conditions. If you have a sick relative and go on holiday only to get a call to return home, it's unlikely you will be covered for the costs you incur for cancelling a trip or returning earlier. Validating a claim requires receipts of bank statements - Southern Cross requires original receipts for any items you are claiming for. If you don't have them, their claims team "may consider bank statements, valuations, or reprinted receipts from the store you purchased the item/s from". Southern Cross offered the cheapest policy costs for our example trips for two 35-year-old visitors to Australia, the USA, Bali and Europe, when compared to 1Cover, AA and AMI travel insurance policies.​ For 75-year-old visitors, the Southern Cross policies were second cheapest, coming just behind 1Cover overall. Southern Cross offers a range of benefits, some are superior to other insurers, but others are not. You will need additional cover if you plan to ski or ride on a moped, motorbike or scooter. Southern Cross Benefits Limited is the insurer behind Southern Cross Travel Insurance. The company has an A-grade financial strength rating given by Standard & Poor’s, which is the equivalent of being rated 'strong'. Most travel insurers outsource the risk to a large overseas insurance company, but Southern Cross does not given its size and presence in New Zealand. 5. 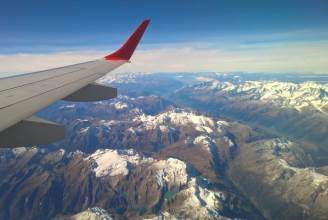 Does Southern Cross sell other travel insurance in New Zealand? No, Southern Cross does not provide cover for any other insurer - to get TravelCare, you must buy it from Southern Cross directly. Policyholders make a claim via the Southern Cross Travel Insurance website, although an estimated time for making an assessment is not given. Most claims (except those medical-related), will normally be settled when the traveller returns to New Zealand. This means if you lose an item overseas, have money stolen, experience a flight disruption or any other misfortune that isn't medical, the standard procedure is to asses your claim when you return home. Some are automatically covered, but others are not. Our section on pre-existing condition section below explains everything in detail. Yes, if you are a Southern Cross member, you automatically qualify for 5% off the total price of the policy. Similar cover is offered by a range of travel insurers, including AMI, AA and 1Cover. For 75-year-old visitors, the Southern Cross policies were second cheapest, coming just behind 1Cover overall. The benefits apply to anyone aged up to 100 years of age. The cover and claims are managed by Southern Cross, which means should you need to claim, you won't be shipped off to a third party insurer like most other travel insurers in New Zealand. Southern Cross offers 24/7 global support and a 5% discount for members. Among the big brands, it offers generous cover and lower-than-average policy prices. 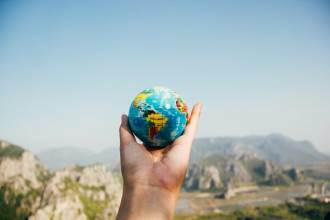 Our extensive travel insurance comparison lists other insurers, such as Columbus Direct or TINZ, which offer lower-priced cover, and are worth considering. Many travel insurers, including Southern Cross, have a good reputation for paying claims, but they are under no obligation to pay you if you lied or withheld information when you applied. What does 'pre-existing' actually mean? ...whether or not a medical diagnosis has been made. So, if you've had any medical condition in this time, diagnosed or not, Southern Cross defines it as 'pre-existing'. Do I need to tell Southern Cross about a pre-existing condition? Unlike other insurers, Southern Cross does not offer a list of covered/included pre-existing conditions. Instead, Southern Cross asks customers to disclose whatever pre-existing conditions they have for an assessment by their medical team. The medical team will quote separately for the pre-existing condition(s), or inform you that you cannot be covered for one or any of the disclosed conditions. While Southern Cross does not require disclosure of pre-existing conditions, it makes it clear that any claims later on could be affected by anything undisclosed that it related to the issue. What if I am undiagnosed but have a condition? Undiagnosed conditions do not fall under pre-existing, unless a 'reasonable person should have been aware of your condition', so if you don't know you have something and get ill later, your claim should be successful. Top Tip: To minimise any concern or limited cover, it is best to consult with Southern Cross directly if you have a pre-existing condition. Southern Cross​ specifically excludes professional sport, contact sport, racing, motorsports, hunting, pot-holing or caving, rodeo, microlight flying or kitesurfing, mountaineering, hiking, trekking or tramping, abseiling or outdoor rock climbing, base jumping, parachuting, paragliding, parasailing, hang gliding, bungee jumping, white water rafting, black water rafting, white water kayaking or land yachting (unless you are with an operator licensed in the relevant country). If you want to ski or ride a moped, scooter or motorbike, extra cover is required (see below). Any scams or fraud you fall victim to, self-harm and losses from the breakdown of a family relationship, losses from unknown persons invited to your accommodation (or you visiting the accommodation of persons unknown to you), participating in any prostitution and any unlawful activity are also excluded. engaged in whilst under the influence or effect of alcohol, solvents or drugs". It's best to behave with caution, and be responsible. If you go out at night and lose your bag while intoxicated, Southern Cross Travel Insurance won't cover you. ​Losses exacerbated by the health of a relative or business partner (who are not travelling) if that person has been hospitalised in the previous two years for a condition that was related to causing the claim, was living in a nursing home or had home care assistance, was on a waiting list, knew they needed surgery, had a drug or alcohol addiction or had a terminal illness. Anything relating to prohibited activities (see the full list here), snow activities and moped/motorbike without additional cover. Consequential loss after an event, i.e. if you have an accident in your rental car and get a parking ticket while you wait for help, your parking ticket won't be covered. Where you don't follow the directions or instructions given by Southern Cross Emergency Assistance in relation to an incident. Loss of enjoyment which is non-financial - for example, if you get sick during a week in Fiji, you can claim medical costs but you won't be compensated for the loss of enjoyment of your holiday. If you intentionally or recklessly put yourself in a situation where you pose a risk to yourself and/or your baggage or personal items. For example, if you pose for photos behind a fenced-off area and have an injury, you won’t be covered. Private hospital and medical treatment if public funded services or care is available. If you are in a country with a reciprocal health agreement with New Zealand (such as Australia or the United Kingdom), Southern Cross requires that you ask for public hospital treatment first. Losses from participating in any gambling. Events related to a governmental or official authority directive, restriction, prohibition, quarantine, or detention, including border closures and seizures by government authorities. For example, if you are backpacking around Africa and a border closes causing you to be delayed and miss a flight, you won't be covered. Any claims relating to natural events which started before your start date of insurance, although exceptions are allowed in the policy document. Any incident that happens outside of the period of insurance. Riot or civil commotion (unless you have already left New Zealand prior to the riot/civil commotion, and you promptly take steps to avoid related risks), or any incident relating to a war, invasion or civil war. You can include up to two adults and nine children on one policy. Yes - unlimited cover is provided for loss of deposits and cancellation of any journey paid in full. But, there are exceptions, and you will need to purchase a policy BEFORE you make any bookings to ensure they are covered. You can also increase the cover from the standard $5,000 to $10,000, $20,000 or an unlimited amount, for an additional fee. Yes - Southern Cross Travel Insurance offers excesses in $250, $100 and $0 - choosing a $0 or $100 excess means the overall policy cost increases slightly (compared to the same policy with a $250 excess). General personal items valued at above $1,500 are excluded, other than cameras, laptops etc. Extra cover is available for a set fee for 'specified items', with a limit of $10,000 per item, up to a maximum for all items of $15,000 per journey. This will be of use if you want to insure high-value items, such as a diamond ring, computer equipment and clothing etc. As an example, we received a quote of $200 to insure an item valued at $10,000 for four weeks in Europe. Standard excess amounts apply to any claim. Yes - Southern Cross Travel Insurance covers cruises automatically on its TravelCare policy. This also includes boat charters where you pay to be onboard. However, the policy must cover all of the destinations you will be visiting during your journey (i.e. where it docks and finishes). So, if you don't usually use a helmet, you will need to for your insurance to be valid. And you will need to ski responsibly and keep to the trails. No - this is a standard exclusion. Southern Cross specifies that there won't be any cover for any 'default or financial collapse of any service provider', meaning if your airline, transport provider, travel agent, or wholesaler, your travel insurance won't cover it. Foreign nationals on a visa or permit which allows you access to all publicly funded health and disability services in New Zealand. The visa or work permit must be valid until after your end date of insurance. Am I covered to ride a moped, scooter or motorbike? If you plan to ride a scooter, many media stories talk of New Zealanders getting into accidents in Bali and Thailand. Being uninsured is a major risk; in many places, hospital treatment won't be provided if there are no insurances of guarantees of payment. Does Southern Cross Travel Insurance cover rental vehicle excess? Yes - you are covered for the insurance excess you are required to pay, as a result of loss or damage to a rental vehicle you have hired, up to $5,000. So, if someone hits you, you hit someone or the car is involved in any type of accident or theft, you will pay the excess to the car insurer and then claim it back from Southern Cross. When you rent a car, a standard excess in the thousands of dollars/euros/pounds is included. If you wish to reduce it to something much lower, or even zero, the car rental company charges an additional 'insurance' fee. This can be considerable. With this benefit from Southern Cross, you can avoid paying for 'excess protection' or 'excess reduction' insurance when you rent a car, as long as you're comfortable putting a hold on your credit card and paying the excess if you have an incident. Where is Southern Cross Travel Insurance based? Southern Cross Travel Insurance's head office is in Auckland. 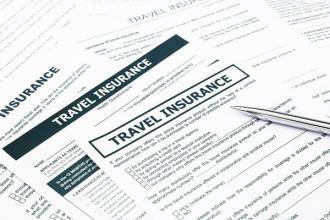 What is the best way to buy a Southern Cross Travel Insurance policy? Either online on the Southern Cross Travel Insurance website, or over the phone (0800 800 571, Monday to Friday). If you are insuring for pre-existing medical conditions, it is best to call to explain your situation.